Missed your Umrah tour during Easter 2018? 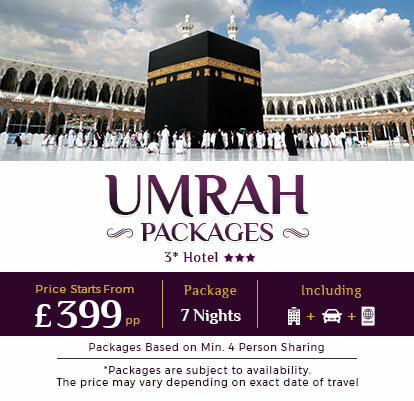 I'timaar offers cheapest Easter Umrah packages 2019 for those Muslims in the UK who are eagerly waiting to perform Umrah in 2019. Easter will fall on 21st April 2019 and to get the best out of your Easter holidays, book our Umrah packages for April 2019 and fulfil your religious obligation by visiting the House of Allah (Subhana Wataala). We take pride in being the most reliable travel group in the UK travel market for the Muslim community looking for Easter deals for Umrah. With us, you can experience suitable facilities including memorable stays in hotels along with the finest transfer facilities during your stay in Makkah and Madinah. 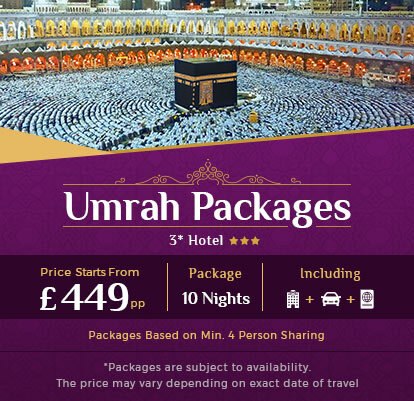 Browse through our individual or group Easter Umrah packages from the UK and opt for economy, deluxe and super deluxe packages to make your booking for the future. To make your journey inspiring and memorable in Makkah and Madinah, we provide comfortable transfers from your hotel to key religious sites. I'timaar is proud to deliver all types of Umrah packages at the best rates, and customize Islamic tours according to the requirements of our Muslim brothers and sisters.